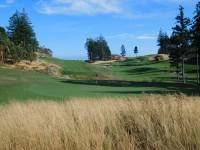 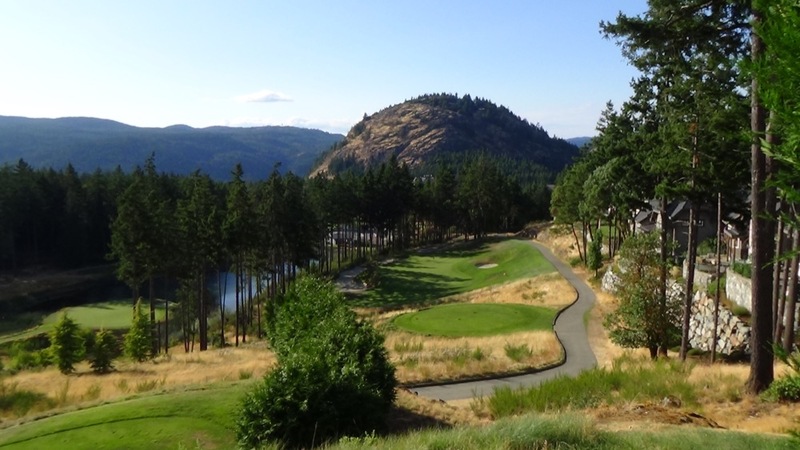 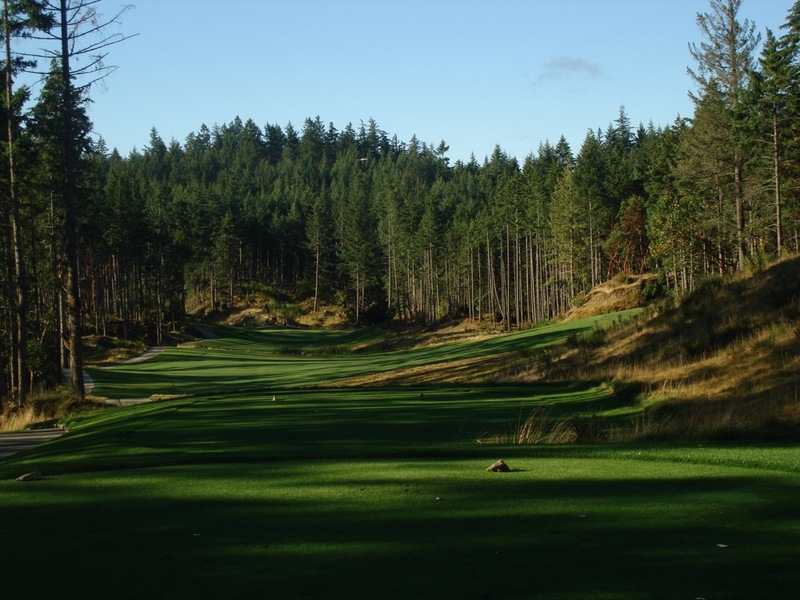 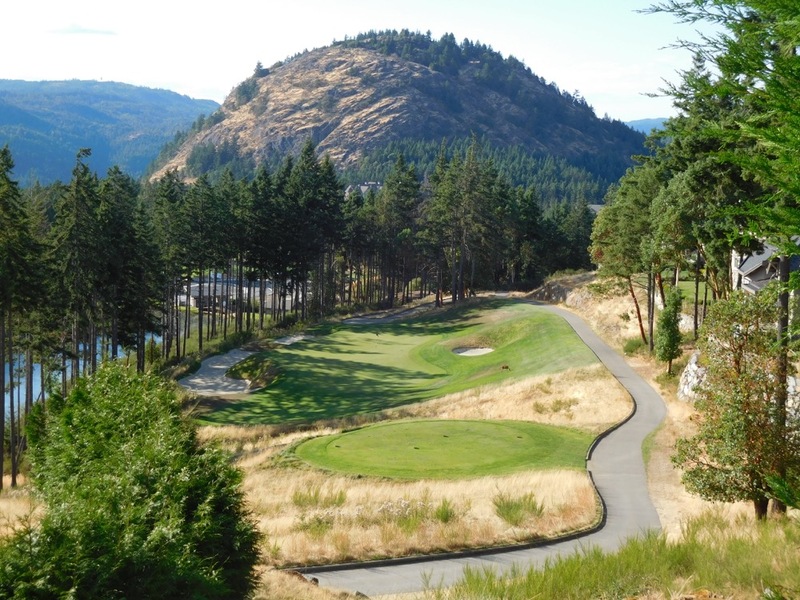 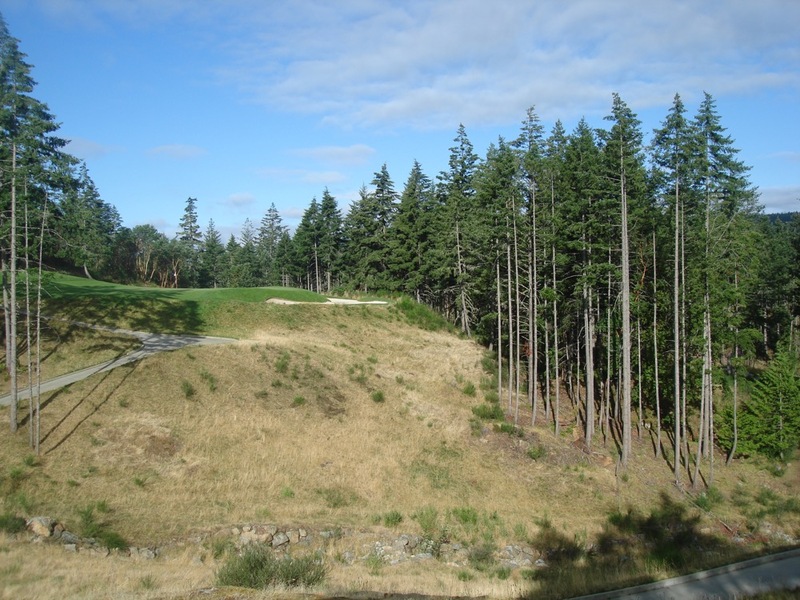 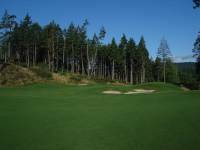 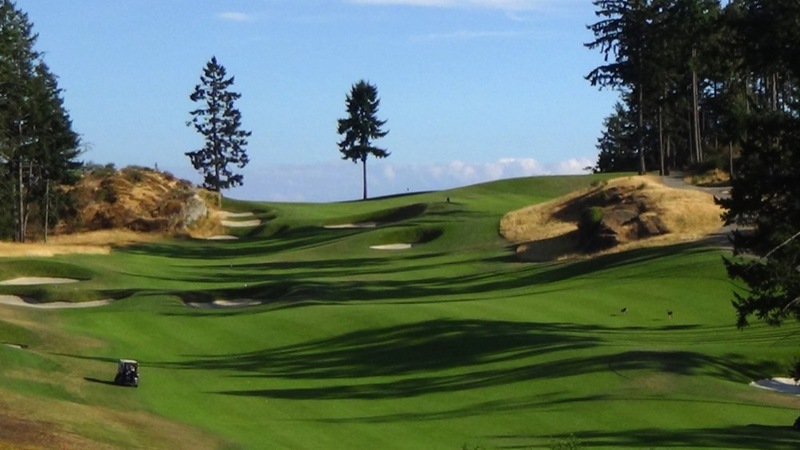 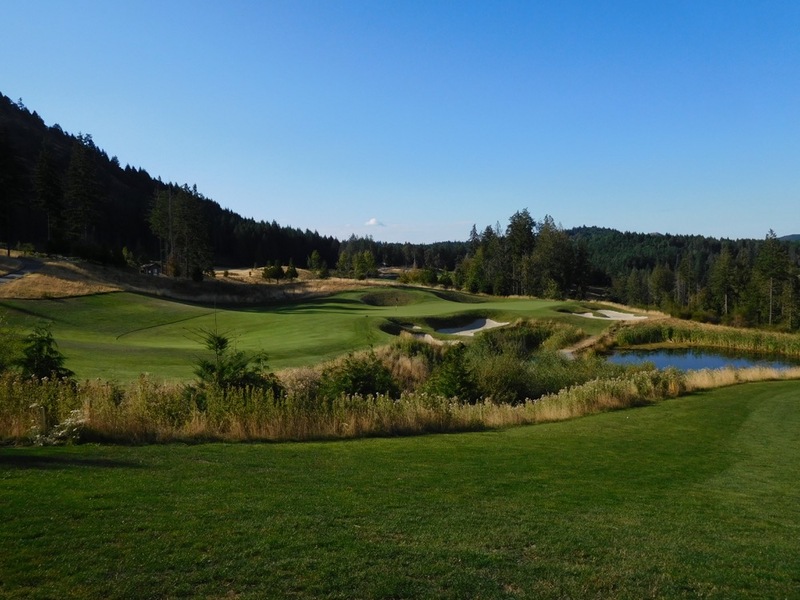 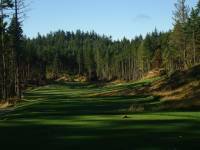 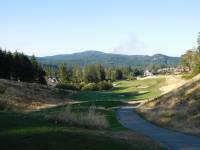 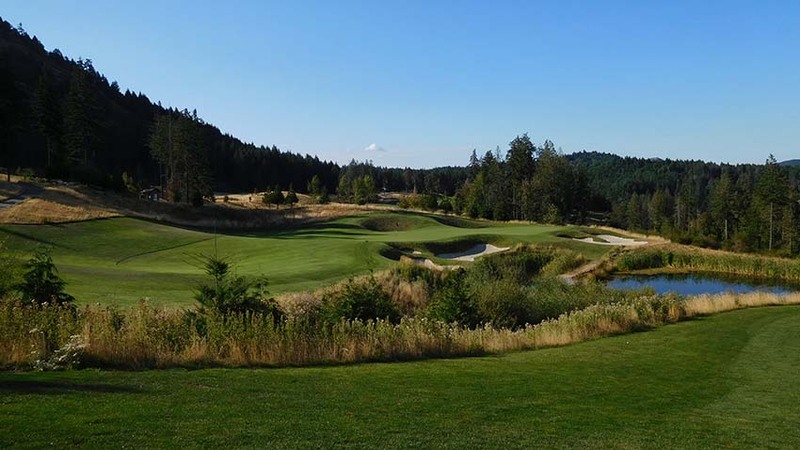 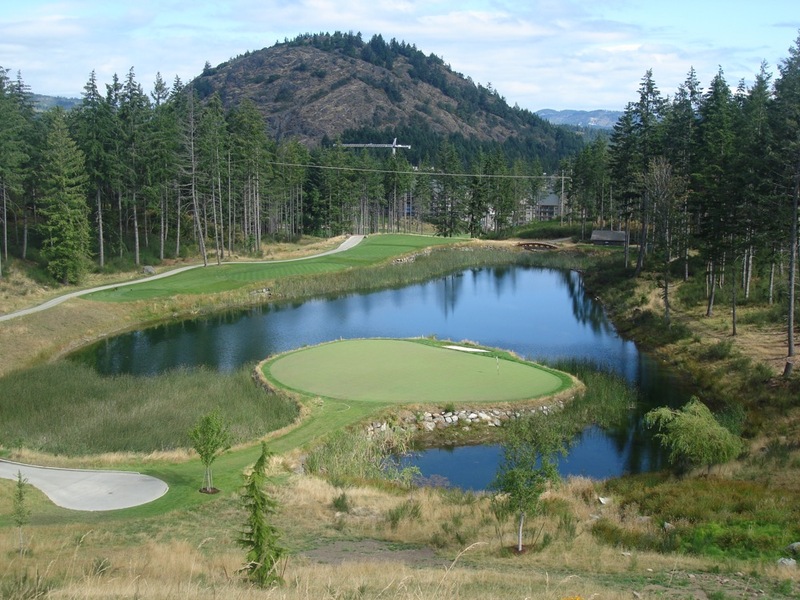 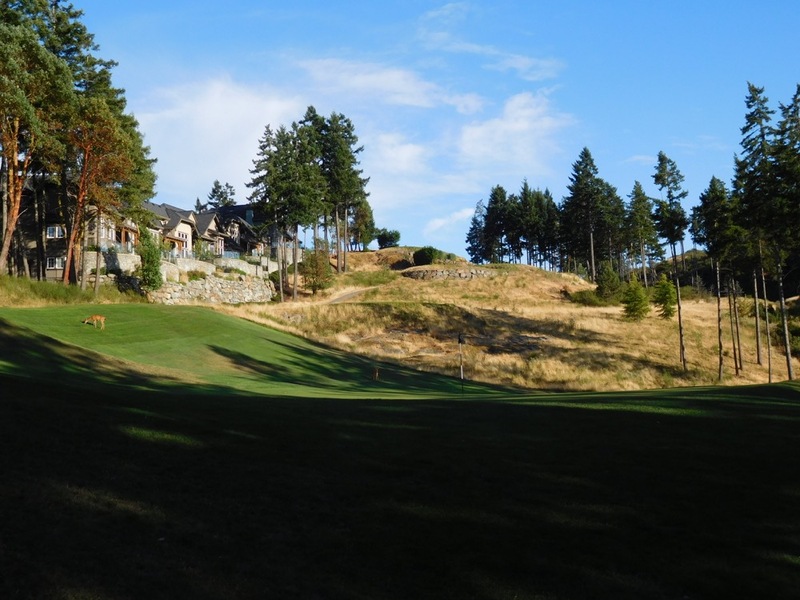 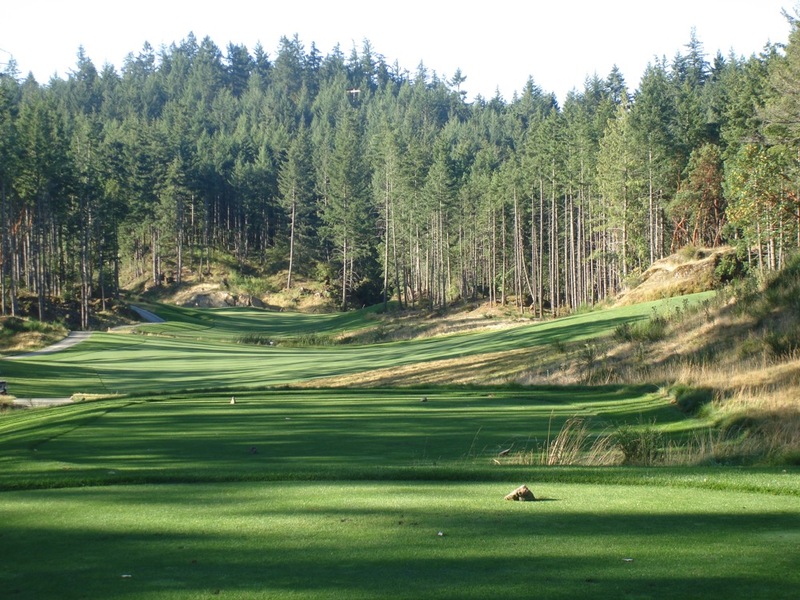 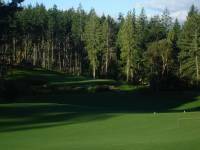 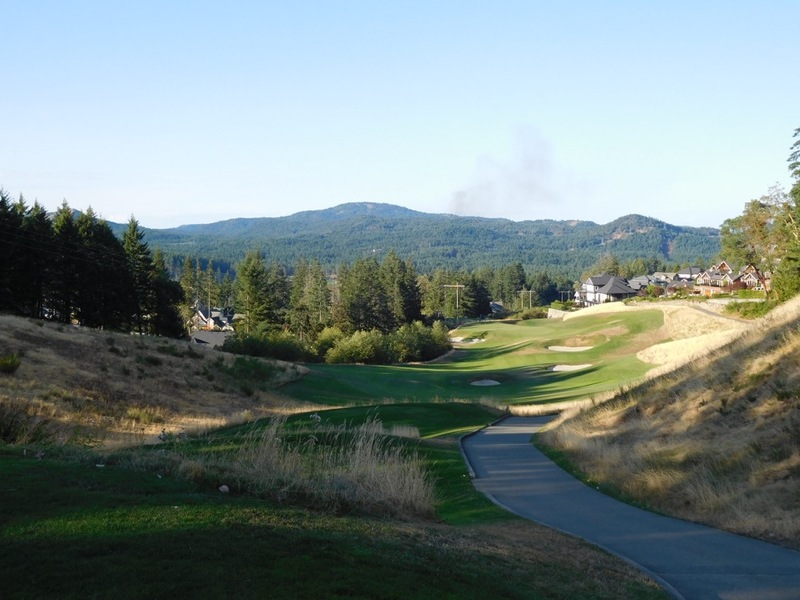 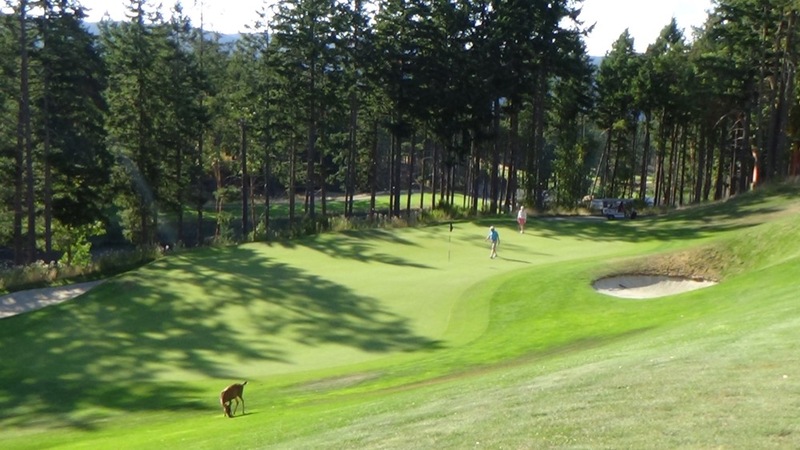 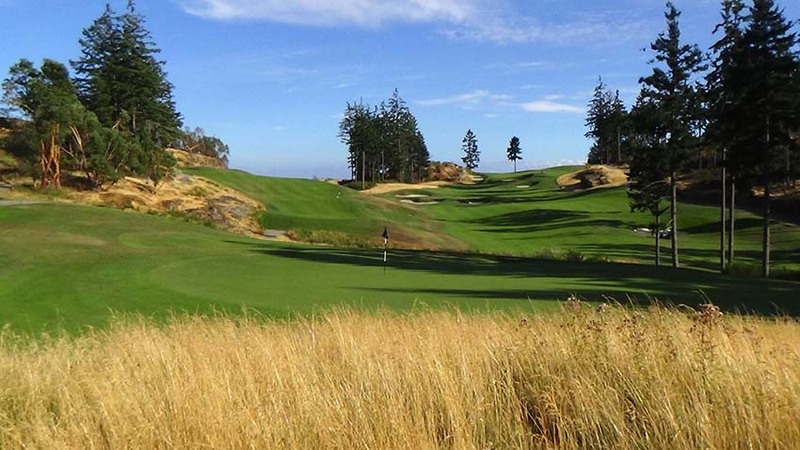 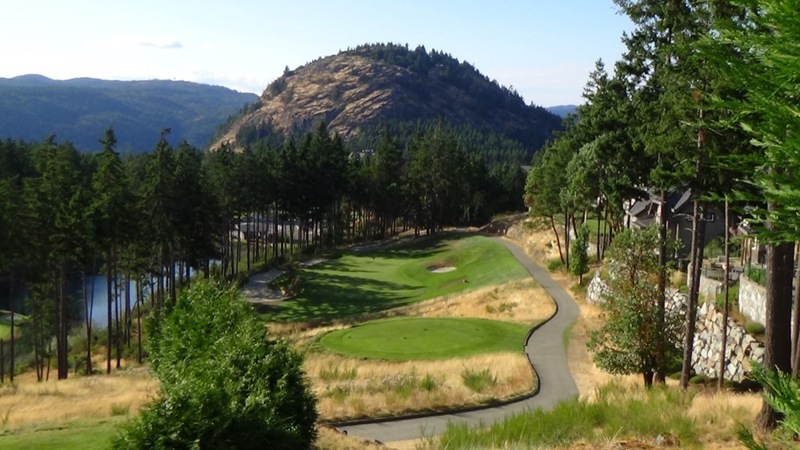 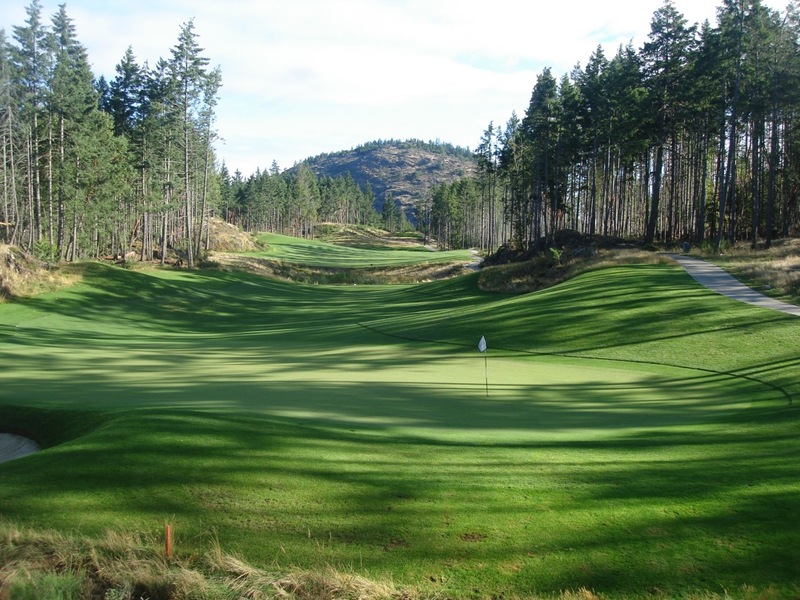 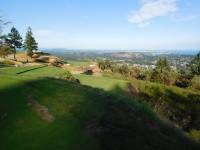 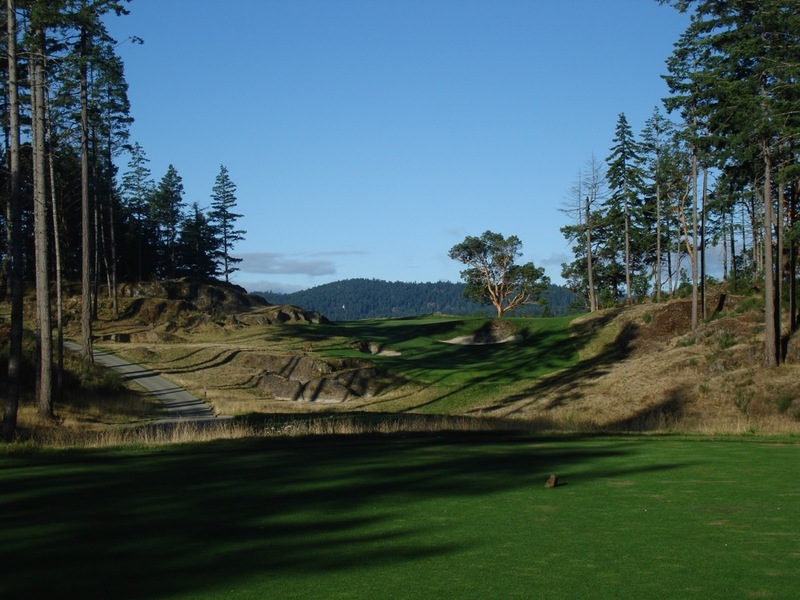 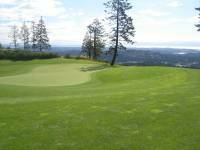 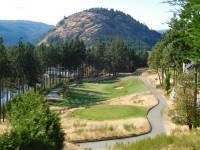 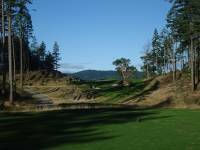 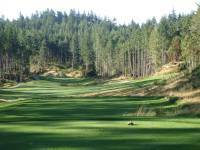 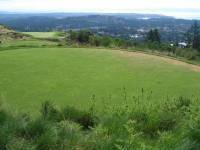 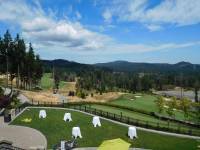 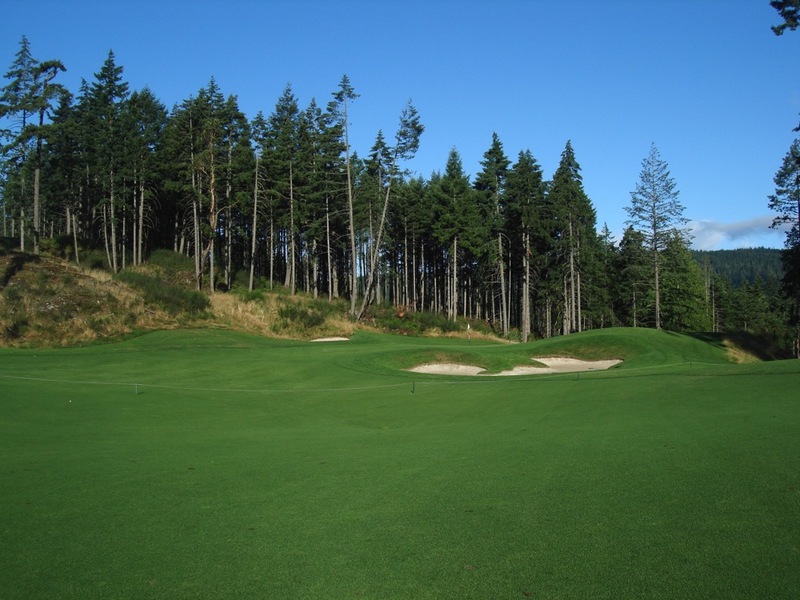 Jack and Steve Nicklaus have created a modern classic at Bear Mountain Golf and Country Club’s Mountain Course near Victoria, set in the foothills of Mount Finlayson. 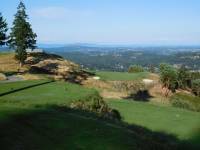 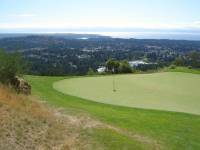 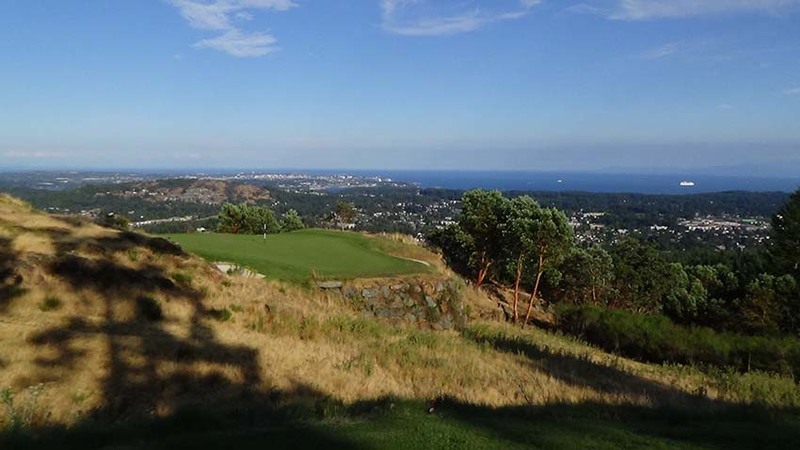 Bear Mountain is worth playing just for the magnificent views, with panoramas of the mountains, Victoria city, and Pacific Ocean seen from the very top of the course. 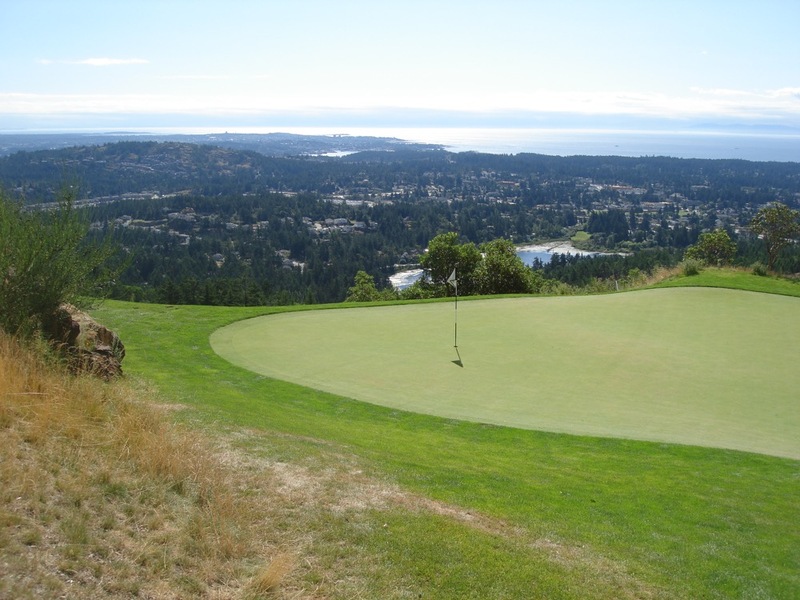 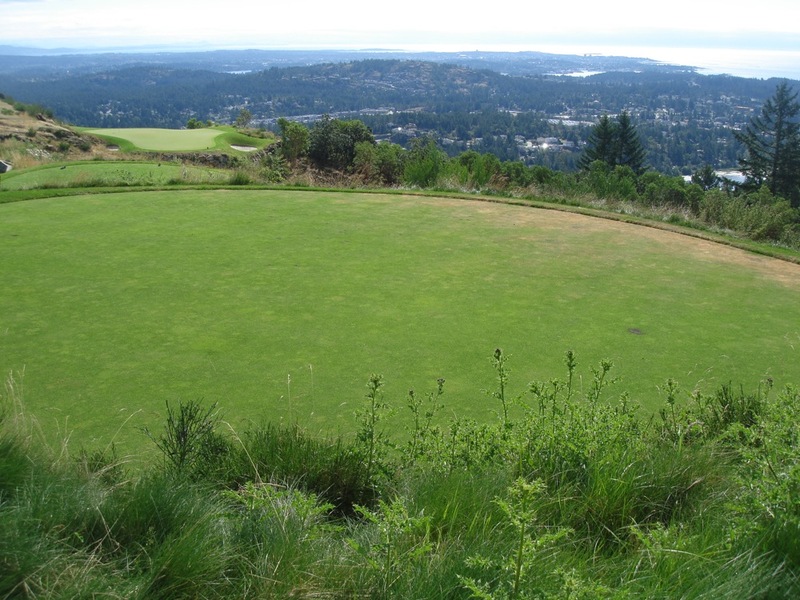 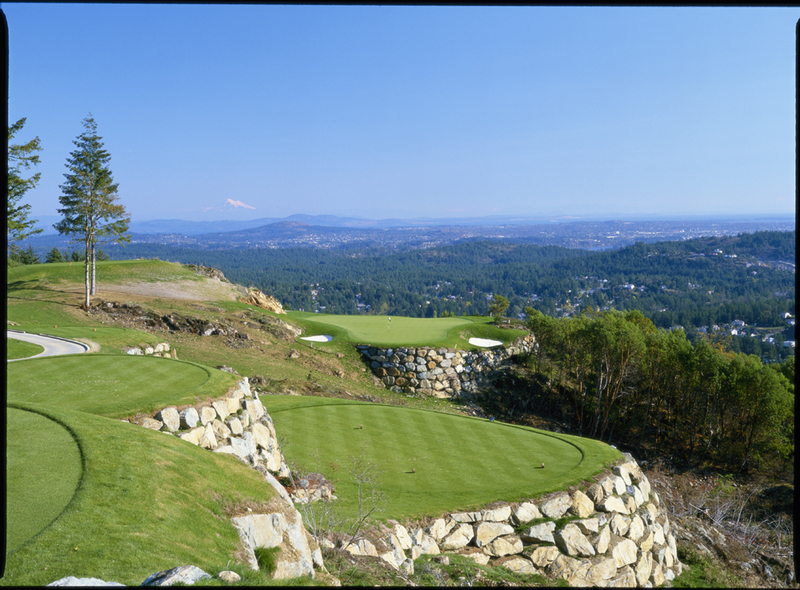 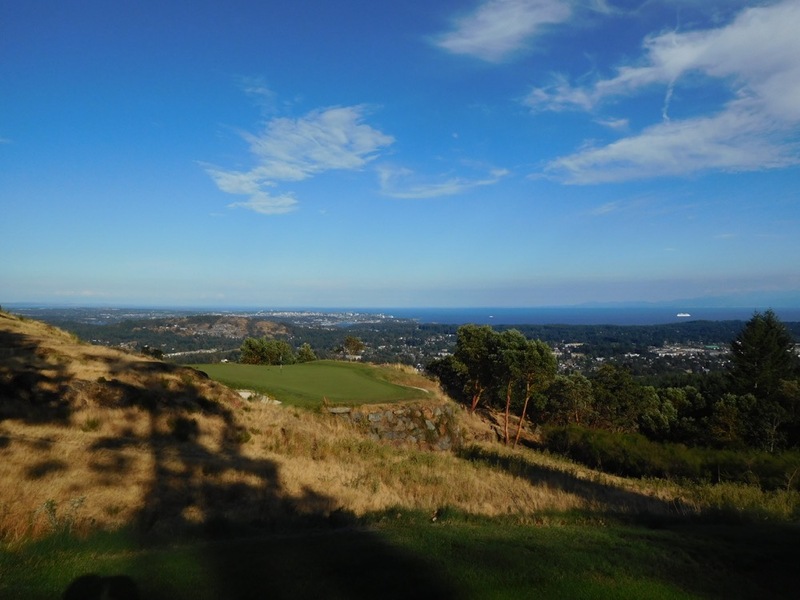 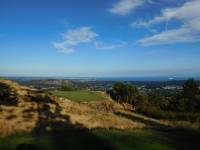 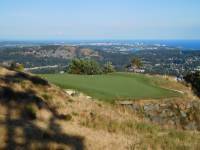 Up here at Bear Mountain Golf and Country Club you might as well be on top of the world and you will not believe the backdrop of the par-3 14th hole, seemingly miles above Victoria’s beautiful harbor in the distance! 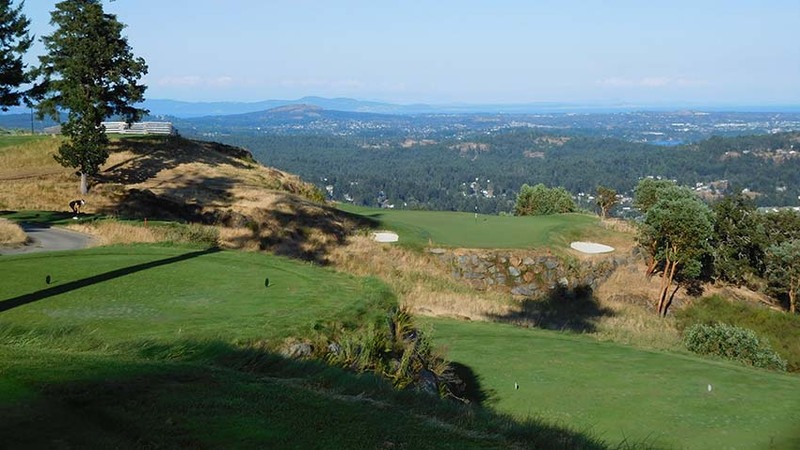 The rolling fairways at Bear Mountain Golf and Country Club’s Mount Course meander through a lush forest and in places the course delivers the illusion that a missed fairway or green will mean a ball falling off the face of the Earth. 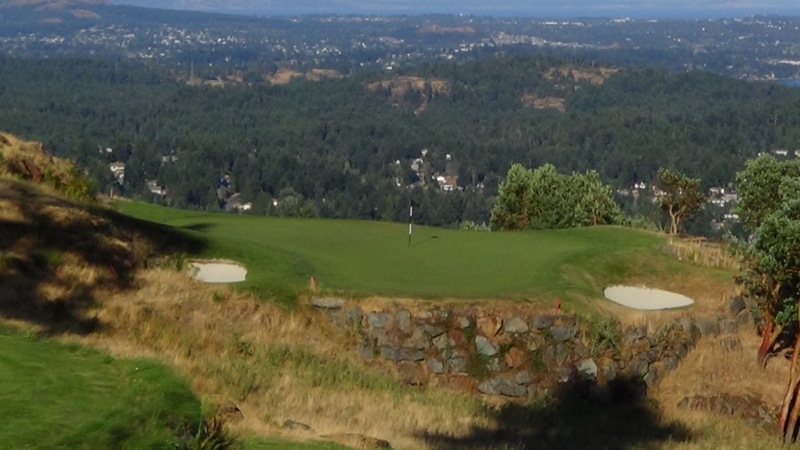 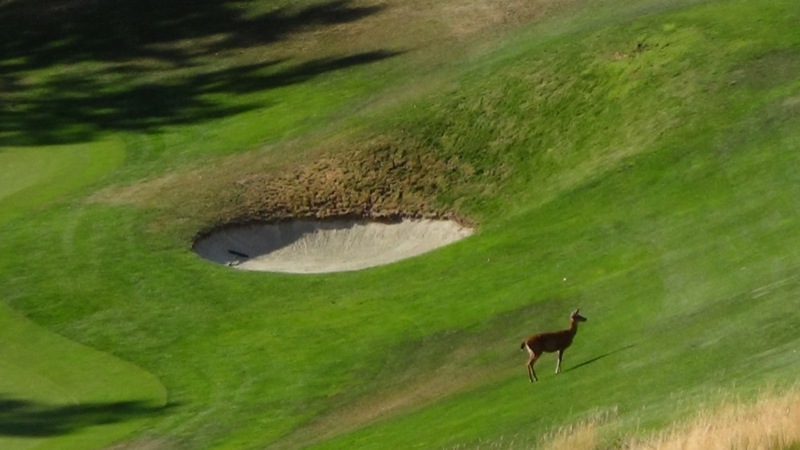 Bear Mountain Golf and Country Club prides itself on the Mountain Course being playable for all levels of golfers while still being a true challenge for the scratch and professional. 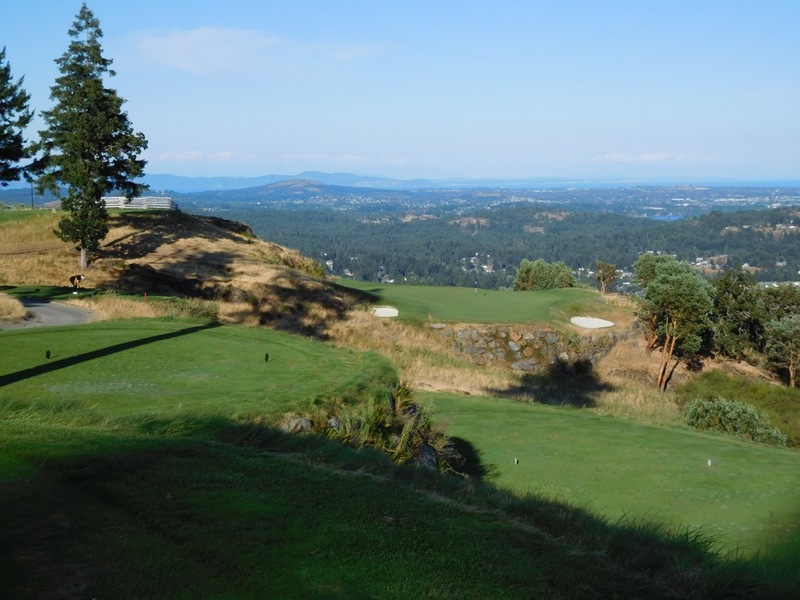 Bear Mountain is a must to include on any Victorian golf escape! 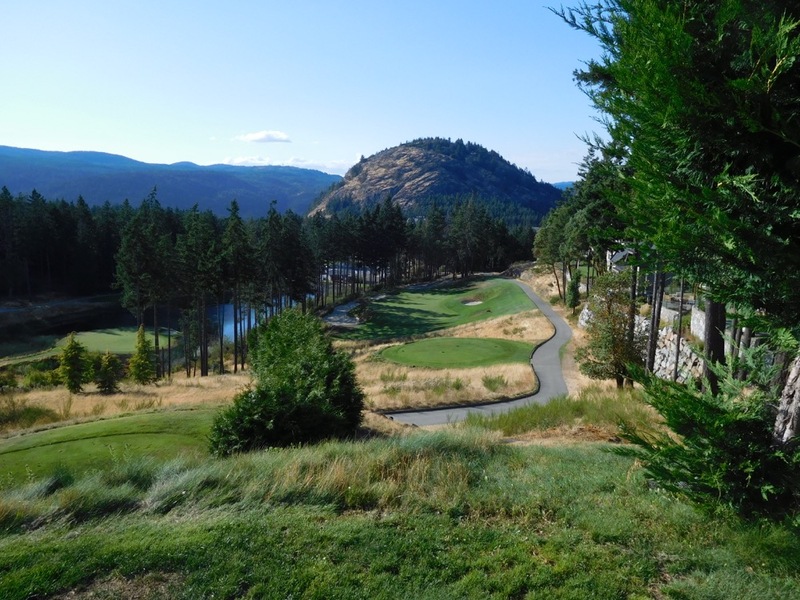 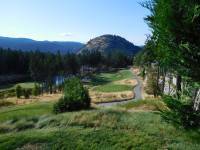 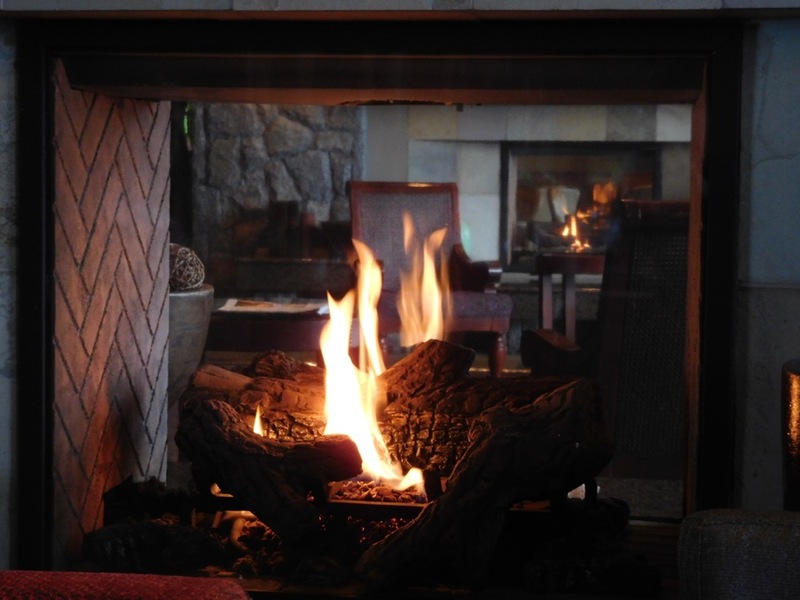 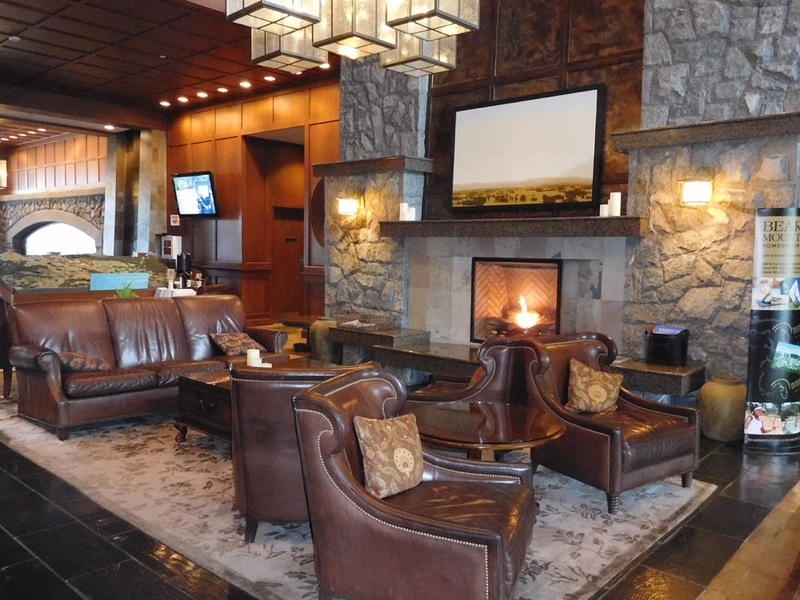 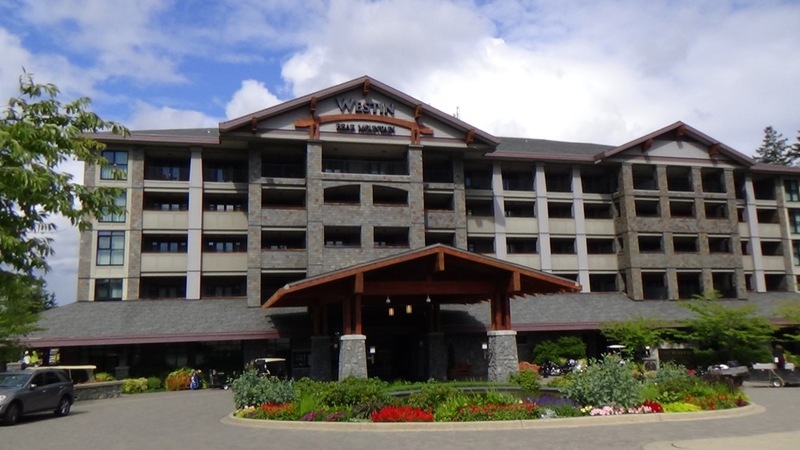 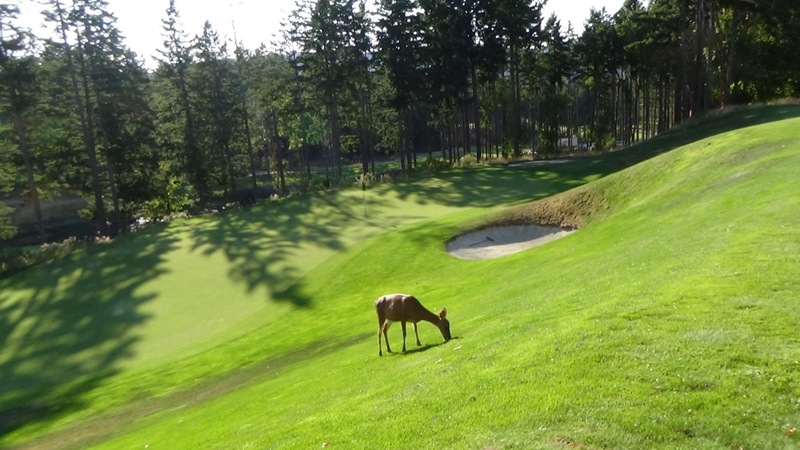 And why not stay awhile—Bear Mountain is home to the Westin Bear Mountain which is one of the finest golf resorts in all of British Columbia and western Canada! 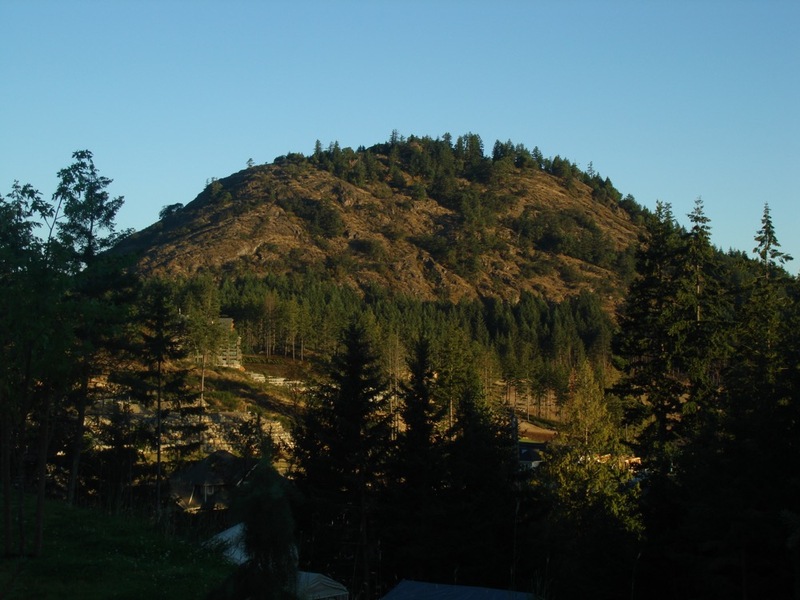 "The trip was a 20 on a scale of 1 to 10!"